In the early 50’s most of the car manufacturers were going the “bigger is better” route. Nash Motor Company executives were examining the market to offer American buyers an economical transportation alternative. 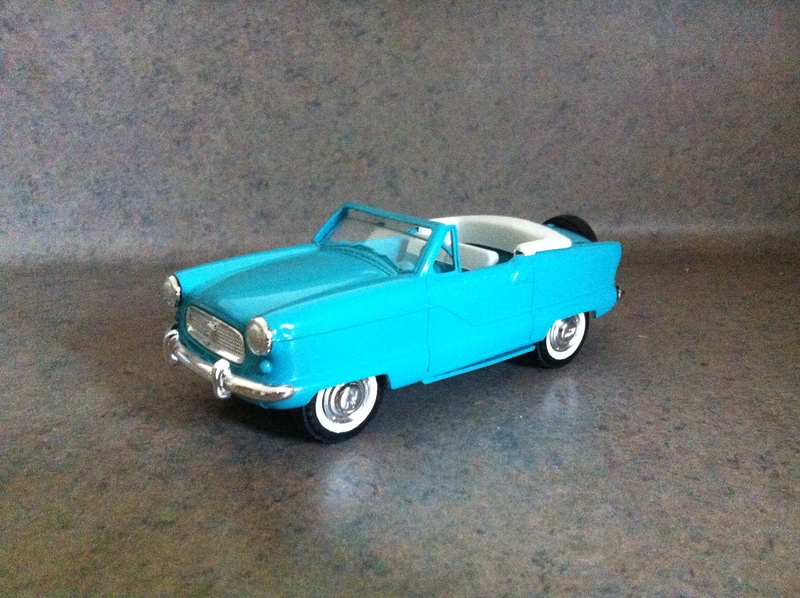 In came the Nash Metropolitan. Wait a minute, isn’t the all coming around again with cars like the Fiat 500 and Smart Car? Same concept, small car, good gas milage and fun to drive. The “Met” as it is called sometimes was first introduced in 1953 and was a partnership between Nash, here in the US, and Austin Motor Company, and Fisher and Ludlow in England to become the first American-designed car, that was to be exclusively marketed in North America, had been entirely built in Europe. 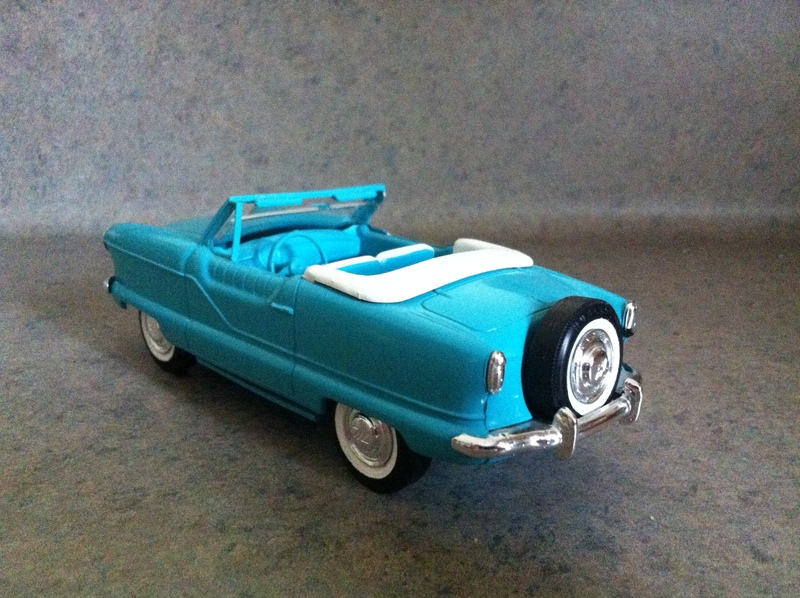 It was also the first American car that was marketed specifically to women. What’s not to love about this car? It’s wheelbase was just 85 inches, smaller than a VW, got great gas mileage, 40-47 mpg, and it was fun to drive. By the time of the end of the production run, there were 94,986 sold in the US and Canada with 1959 being the best sales year where 22,209 were sold. Today this car has a cult-like following with several car clubs. For those of you who don’t have the cash or garage space there are the Met promo models. These were made mostly by Hubley Manufacturing both as promo model and a kit. The one way to tell them apart is that the promo was friction and the kit was not. When the Met came out, a dealer could order a box of them for 18 bucks. These are actually pretty easy to find. I believe the one I have here was my dad’s. The detail on this is pretty good and they only thing keeping this one from being a perfect 10 would be the missing post on the passenger side. It has very little warp in it. I do not have the box with it which also would knock it down some. I have seen ones with boxes going in the neighborhood of around $200. I almost had the real deal but for some reason couldn’t hook up with the buyer and it was the same color as this one. There is one on eBay right now. Thanks for reading.